Lightweight but powerful, our Water Purification Tablets from Aquamira provide all the benefits of Water Treatment Drops in an easy to use solid format. Each tablet purifies one liter (32oz.) 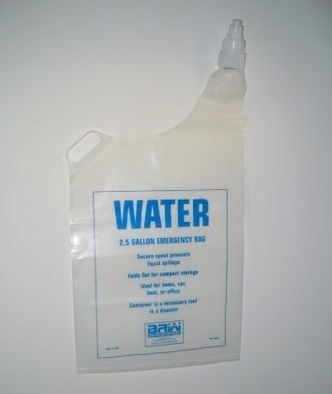 of water and is conveniently sealed in an individual child resistant foil pouch. The individual tablet pouches are stored inside a re-sealable storage pouch that eliminates packaging waste and can be packed away almost anywhere. This product is an EPA Registered Purifier, and contain a patented chlorine dioxide formula that produces a powerful germicidal agent when released in water. When used as directed, Aquamira Water Purifier Tablets meet EPA guidelines for Microbiological Water Purifiers making it the safest solution on the market. Great for weekend hiking, camping, hunting, or fishing trips. 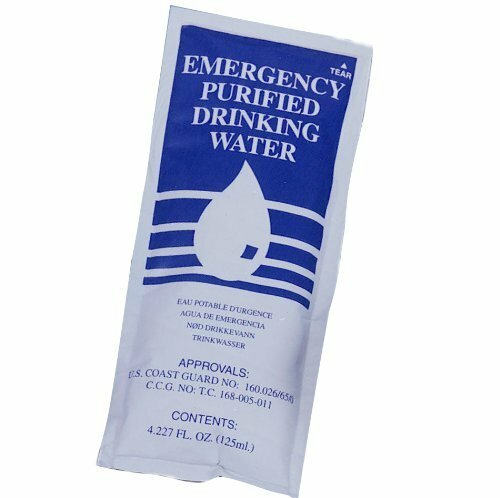 The 20 pack is perfect for 72 hour emergency kits. 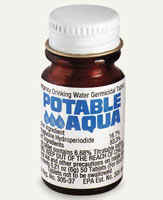 Aquamira Water Purifier Tablets will not discolor water and will actually improve the taste of treated water.